Team LEAP spent 9 days working with European partners to develop new partnerships to support LGBTQ+ inclusion in sport. We may be heading towards Brexit, but Team LEAP recently spent 9 days working with European partners to develop new partnerships to support LGBTIQ+ inclusion in sport, and tackle homo/bi/trans-phobia in sport. 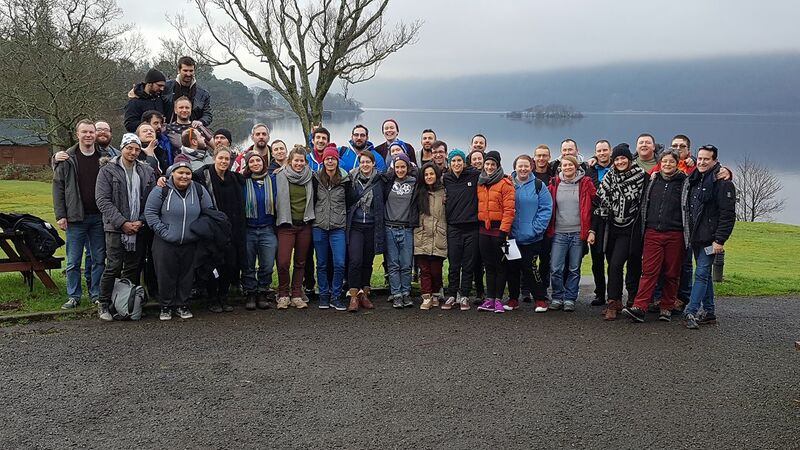 Sporting Equals brought together representatives from organisations in Bulgaria, Croatia, Germany, Hungary, Iceland, Italy, Serbia, Scotland, Slovakia and Slovenia, on the banks of Loch Lomond, and used non-formal learning methods to deliver a process of learning and relationship building. After spending time getting to know each other and each other’s work, we took time to critically examine many of the current issues for LGBTIQ+ people in sport, exploring many of the vital concepts that we would like to do further joint work on. Issues such as: how we offer safe spaces within sports environments versus fully inclusive spaces; strategies to include queer and non-binary people within sport; how we can foster learning between grassroots sports communities in Eastern and Western Europe, and much more. We also spent time looking at funding opportunities available within the Erasmus programme and further afield, and started a process of collaboration to develop projects which would allow us tackle the issues we have debated. And of course all of this was interspersed with the usual outdoor activity, Burns Supper, social time and general Scottish hospitality. We were also pleased to have some non-sports LGBTI organisations join us. Robert Furiel, Director of Saplinq in Slovakia said “It was a great opportunity to see what sport means for LGBTIQ+ people across Europe. As a PRIDE organiser in my country, I’d definitely like to see more sporting events as part of our PRIDE programme”. LEAP Sports are pleased that the participants involved have come together to invest time in building a strong platform, are excited about some of the new partnerships which we have established throughout the project and look forward to some new collaborations. Check out our online photo album of the week here. Written on 9th February 2017.